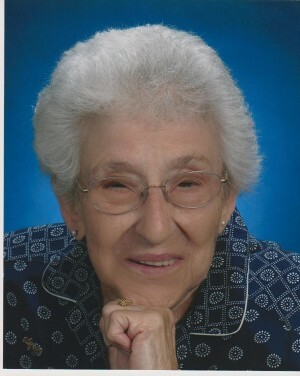 Angelina R. Talamo, 94; of Fulton died Wednesday at Michaud Residential Health Services, Fulton. She was born in Fulton to the late Angelo and Rose (Crai) Vescio. Mrs. Talamo has resided in Fulton for most of her life. She was formerly employed with Sealright Co., Fulton having retired in April of 1983. She was a member of the Fulton V.F.W. Auxiliary Post #569 and Catholic Daughters Court Pere LeMoyne #833. Mrs. Talamo was pre-deceased by her husband John G. Talamo in 1980, and son John A. Talamo in 1963. She is survived by her daughter Paula (William) Rohn of Fulton, siblings: Joseph Vescio, Sam Vescio, Ellen McGraw, and June Johnston all of Fulton, granddaughter Karen (Randy) Stoughtenger of Baldwinsville, NY, step grandchildren: Denyse (Jeff) McCoy of IA; William (Wendy) Rohn, of MI, Cindi Alt of MI, Cheri Rohn of Liverpool, NY, Derry (Pat) Micale of Cicero, NY and Steve (Teresa) Rohn, of TN, and 1 great grandson Nate Stoughtenger. Funeral services will be held 11:00 AM Saturday at the Sugar Funeral Home, Inc., Rev. Robert Stephenson officiating. Burial will be in St. Mary’s Cemetery, Fulton. Calling hours will be held 9:00 to 11:00 AM Saturday in the Sugar Funeral Home, Inc., 224 W. 2nd St. S. Fulton.